Recently, Anthony Venus, CEO and Co-Founder of YayPay, was a guest on Nathan Mersereau’s Day in a Canoe podcast, an online segment about creating the life that you want – and one that’s filled with wealth, wisdom, meaning, and purpose. In the podcast, Anthony talks about the journey to creating YayPay, how accounts receivable teams can find efficiencies in workflow. Here are highlights of their conversation. Nathan Mersereau (NM): Could you give us a quick overview of what YayPay is about? Anthony Venus (AV): We make collecting money easy, fast, and highly predictable. We're a back office accounts receivables’ (AR) platform used by credit and collections specialists, and AR managers, and also offer B2B payments. With payments running through the software, companies get their payments sped up by as much as 34 percent on average, while saving many, many hours of time on the manual repetitive tasks associated with collecting money, which they'd rather not do. The machines can do better. NM: You’re originally from Australia, have lived all over the world on five continents and are relocating from San Francisco to New York. Back in 2014, after one of your business transactions, you took some time off. What happened? AV: I've had a few businesses, sold another one in early 2014, and decided to give myself the gift of a year off. Consciously, I decided I wouldn't jump back into anything soon. I wanted to take some time off to go on safari, scuba dive, and go back to school. I took some courses at Stanford and Harvard, and at a think tank, Singularity University, run the by the great futurist Ray Kurzweil, Peter Diamandis, Neil Jacobstein, and others. I sat in some of these lectures and started listening about artificial intelligence and machine learning, and thought back to some of the issues that I had in previous businesses in collecting money. We had this long list of receivables and could never understand why we couldn't get it done faster. We had all this great sales and marketing software, but when it came to finance, we just didn't have a lot that was very useful. I starting experimenting, and the next thing you know, YayPay was born – not just out of previous experiences, but also with me just sitting there and having the light bulb go off about how we could automate this process and how it didn't need to be so hard. NM: The name “YayPay” has an interesting story. Tell me about it. AV: I wrote up a one-page brief about the company and put that brief out on Freelancer.com, where I would award a $500 prize to the person who could come up with the best name. The name had to be a domain I could buy – it couldn't be some crazy $100,000 domain, but instead, under $5,000 or less. There were 987 applications, so I went through them all and put the top 12 I liked the most on a whiteboard. Then, I started asking people who knew much more about branding than I did about the names. I would erase them one by one until we got down to YayPay, the joyful sound you make when you get paid. When I went to award the prize, I went back into the platform and started searching for the person who had given the name – and couldn't find the name “YayPay” at all. What I did find was PayYay. So, I'm a bit dyslexic. I had written it up the other way around on the whiteboard, but, of course, still awarded the prize; the winner was a Romanian psychology professor. NM: Throughout your life, you've experienced a lot of adversity, challenges, and times where the outlook seemed to be dark, but you had to make a decision to work through it. What were some of the principles you relied on, or lessons that you had anchored in your DNA, that helped you deal with, and overcome, that adversity? AV: I think a lot of businesses go out of business because they just give up. They don't have that tenacity to see it through. So, I actually think that a lot of success is simply putting your head down and plowing on through. Of course, listening to the market, and weaving left and right, is also important. It's hustle, tenacity, and just seeing it though. I think the other lesson I've learned over time is that it's all about calling things as they are and being very transparent and truthful with your staff, investors, and yourself about what's really going on. It’s stepping back and trying to determine what's really going on and actually making the right choices to move left and right. Business is the greatest game on earth because the rules are always changing – and guess what? The game never really ends. NM: You and I have connected in the past about day in a canoe, and I'm grateful that you're on the Day in a Canoe podcast. And, that question, “Would I spend a day in a canoe with you?,” is something I believe every business owner can reflect on and benefit from asking. How have you used the canoe in your business, and what are some takeaways? AV: You know what? I use that entire analogy all the time for hiring people. I tell my senior leadership team exactly the same story you told about the day in the canoe. They love it and we live by it. Initially, we raised about $8.5 million dollars in funding. Of course, the first thing you do after you get funding is to look for a great team. One of the people I wanted to hire was based in Detroit, where you're from. He was very successful with a company in our space, but was not a direct competitor. I said, "Look, I'll come to Detroit and spend some time with you. Where do you live? I'll get a hotel nearby." He said, "No hotel. Why don't you come and stay with me and my family for the weekend?" So, he had the “canoe” concept as well. He wanted to spend the weekend in the canoe with me, getting to know me personally. NM: YayPay has team members located throughout the world – in San Francisco, Detroit, New York, Minneapolis, Phoenix, and even Kiev. How do you build a collaborative environment and get people focused on the mission and where you want the company to head? AV: We all work remotely, but we do meet up face to face pretty often, and every quarter, the executive team meets together offsite. We debate, thrash it out, and hug it out at the end, and there’s always some fun in there in the middle. We've done that in the Poconos on the east coast, as well as in Kiev. We went over there to show the folks in Ukraine that we're really serious about making them a part of the company. We meet up face to face in New York once a month as well. We're having that face time, but apart from that, we have Zoom video conferences every week and a stand up each morning on Zoom for five minutes. We all have each other on speed dial. We don't accept email as the only means of communication. We have a rule that if it's more than one email about a topic, then pick up the phone and you discuss it. We're using Slack a lot for instant communications. We have a company wiki, which we will contribute to, and have weekly company newsletters. The main point I'm trying to make is that you have to constantly work at being cohesive. It’s very rewarding when you do because you get to work with some great people all over the world that you may not have the chance to see otherwise. NM: So, as you look at where you are now in life with YayPay, and thinking about your past experiences, what are you looking forward to? What do you see on the horizon that motivates you, or what types of things inspire you most at this stage? AV: I am looking forward on a personal level to not moving houses again for a while and staying in one place. I can't wait. As far as the business goes, I can see a 10+-year journey. The market size is just incredibly massive with up to $500 trillion in the United States in B2B payments. The software business market size, alone, is about $10 billion. So, it's certainly something that we could really take a long way. I'm also looking forward to innovating in the space. The space that we're in has had very little innovation for years and we're trying to bring something that is very predictive, where we'll actually be able to tell you what the chances are of an invoice actually being paid on time. What types of communications should you send to somebody to get you paid? What types of incentives can we offer through the platform to get you paid faster? There are a lot of things we're launching that are very exciting that I think could change the industry forever. 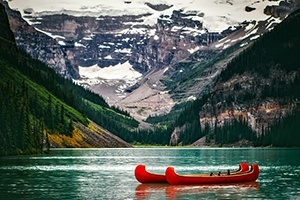 NM: Let's spend a day in the canoe with you Anthony. 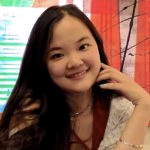 Jazzy Zhu Jazzy Zhu is the Senior Marketing Manager at YayPay, an automated accounts receivable solution that makes AR management fast, easy, and highly predictable. In her role, Jazzy launches lead generation campaigns, implements branding strategies, and supports partner marketing initiatives; she also manages operations and internal processes in support of the YayPay culture and corporate experience. With more than eight years’ experience working with businesses in operations and marketing, Jazzy specializes in helping businesses establish brand presence, analyze and target markets, and implement uptake and engagement strategies. She has a MBA and a MS in Foreign Service from Georgetown University. Read more articles by Jazzy Zhu.